The organizing committee for the international conference on “Between the Sacred & the Secular, from the Internal to the External: Buddhism and Education in the Pan-East Asian Context” cordially invites the submission of related papers. The conference is organized by the Wutai Research Institute for Eastern Buddhist Culture 五臺山東方佛教文化研究院 in Shanxi, China, co-organized by the Research Center for Buddhist Texts and Arts (RCBTA) at Peking University 北京大學佛教典籍與藝術研究中心, Institute for Ethics and Religions Studies (IERS) at Tsinghua University 清華大學倫理與宗教研究院, Center for East Asian Religions at the University of Zhejiang (ZU-CEAR) 浙江大學東亞宗教文化研究中心, and the From the Ground Up project based at the University of British Columbia (www.frogbear.org). The conference will be held between June 3 and June 5, 2019 at the Great Bamboo Grove Monastery 大聖竹林 on Mount Wutai 五臺山. The Buddha, by his life and teachings as well, has been hailed as the paragon that would continue to edify the future world. His teaching was subsequently arranged in three categories: vinaya, sūtra and abhidharma, which guided adherents in both the cultivation of oneself and the cause of liberating others. In the pedagogy of Classical Buddhism, one can recognize numerous unique characteristics which differed significantly from the traditional Chinese pedagogy: it encouraged the practice of Dharma through the tales and doctrines in Jātaka, Avadāna and Nidāna; advocated skillful means in one’s path to liberation; and imparted teachings according to the opportunity of the moment. During the medieval period, Chan Buddhism adopted new ways of teaching that emphasized the use of analogy, evocation of new paradigm and spontaneous inspirations, the so-called “guanji doujiao” 觀機逗教 pedagogy. These pedagogical innovations ushered Buddhist education into a completely new phase. In terms of subject matters, Buddhist education remains an incredibly open system. As the saying goes, “When a Bodhisattva searches for Dharma, the search commences in Five Sciences” (菩薩求法，應於五明處求), Buddhist education not only comprises the knowledge that concerns the Buddhist path but also the studies of language, logics, medical science and pharmacology, as well as the mundane craftsmanship of various kinds. This pursuit of knowledge and craftsmanship, and its concern of diffusing them, determines that Buddhist education would not be confined to the realm of theoretical studies and that it would have significant impact on the secular society at large. In the pre-modern China when education was a rare privilege, monastics not only played the role of religious specialists; they were also intellectual elites in the secular society. The monastery, as a result, became an ideal location for storing and diffusing knowledge of both religious and secular kind. It is especially worth noting that monasteries not only provided educational resources internally to the Sangha and Buddhist communities, but externally, it also undertook the role as “private schools” (sixue 私學). In fact, religious private schools served as a major vehicle for circulating knowledge, on a par with the “Official Education” (guanxue 官學) and the “Secular Private Education” (shisu sixue 世俗私學). Monastery’s unique role in this regard has been proven by the extant manuscripts at Dunhuang. The explanation of sutras had varied pedagogy according to the audience: the monastics or the laymen. A monastery was not only concerned with explaining sutras to monastics; it also expounded sutras to the wide secular public. A monastery, therefore, assumed a dual role that made it a bridge which connected laymen with monastics. It exemplified the open-minded character of Buddhist education and functioned as a place of congregation for not only monastics but also lay children, Buddhist novices and the secular public. In addition, prior to the establishment of the government-funded modern library system, the scripture hall in the monastery functioned as a public library thanks to its tradition of preserving both religious and secular texts. In addition to being a store, a charity and a center for culture and entertainment, a Buddhist monastery might also function as a depository for religious and secular knowledge. Its rich and varied stock of texts, obtained via the private collection and the government donation, attracted intellectuals across all levels of society. It was the preferred place of passage for scholars and officials during either their personal or professional travel, or for those in their journey to attempt the imperial exams. In short, a monastery was an important place for storing, copying, circulating and acquiring knowledge of both secular and religious kind. Buddhism originated in the Indian subcontinent and traveled across numerous countries in Central, South and Southeastern Asia before it reached China. Via China, it was spread to the Korean Peninsula and islands of Japan. In a sense, Buddhism was an important medium that transported and diffused knowledge. And the essential hardware that made up this medium was the monastery. With the spread of Buddhism, knowledge of various subject matters also spread widely in Asia: astronomy, mathematics, medical science, pharmacology, chemistry, botany and zoology, sugar refinery, architecture, painting and sculpture, etc. In this long and complicated process, the Buddhist monastery propelled the spread of the secular knowledge that trailed along its religious counterpart; likewise, monastics were also instrumental in numerous ways in the process of cultural transmission. Besides, as Chinese Buddhism travelled eastward, the knowledge of science and technology also journeyed to the east. By virtue of the uniqueness of monastic education, various forms of civilization were able to spread across land and be transmitted in time. 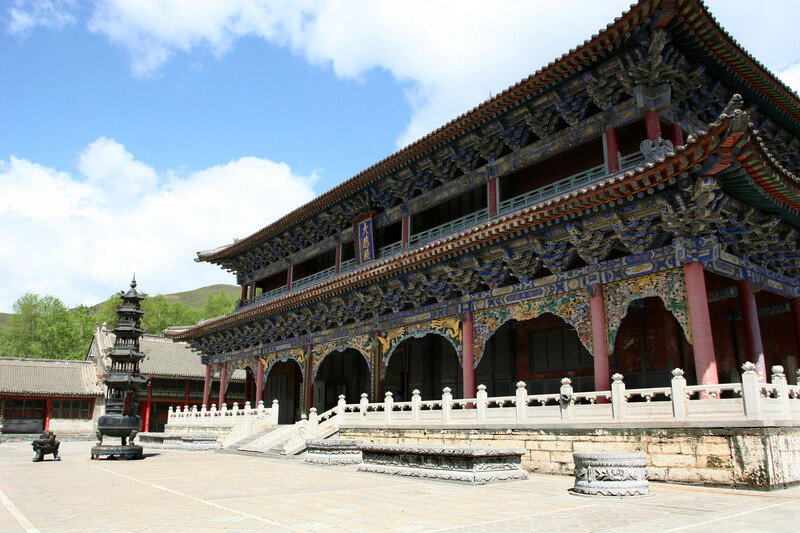 For instance, some major monasteries in the Tang Dynasty, such as the Ximing Monastery 西明寺, Qinglong Monatery 青龍寺, and Daxingshan Monastery 大興善寺, served as nexuses in the exchange of culture and knowledge. Meanwhile, monastics were also part and parcel in the cultural exchange. Yixing 一行 (683-727), for an outstanding example, was simultaneously an astronomer, a mathematician, and an esoteric monk. His legendary life and brilliant career epitomized the global and open-minded character of the monastic education during Tang. Interfusion of monastic and secular education as seen through Dunhuang manuscripts. The organizing committee welcomes all paper proposals related to the Buddhist education under the East Asian perspectives. All conference-related costs, including local transportation, meals and accommodation during the conference period, will be covered by the conference organizers, who—depending on availability of funding—may also provide a travel subsidy to selected panelists who are in need of funding. Please email proposals and CVs to frogbear.project@ubc.ca by March 31, 2019. A conference volume will collect all the papers in English, plus English translations of several papers written in languages other than English; a volume in Chinese, to be published in Taiwan or mainland China, will include Chinese versions for all papers not written in Chinese in addition to those papers contributed by our colleagues based in China. Only scholars who are confident in finishing their draft papers by May 15 and publishable papers by the end of 2019 are encouraged to apply.